Two laboratories, the Colloid Science Lab and BEAMS Lab come together to see Todd Thorson present his thesis work. We were joined by many family, friends, and others from the UC Irvine community. 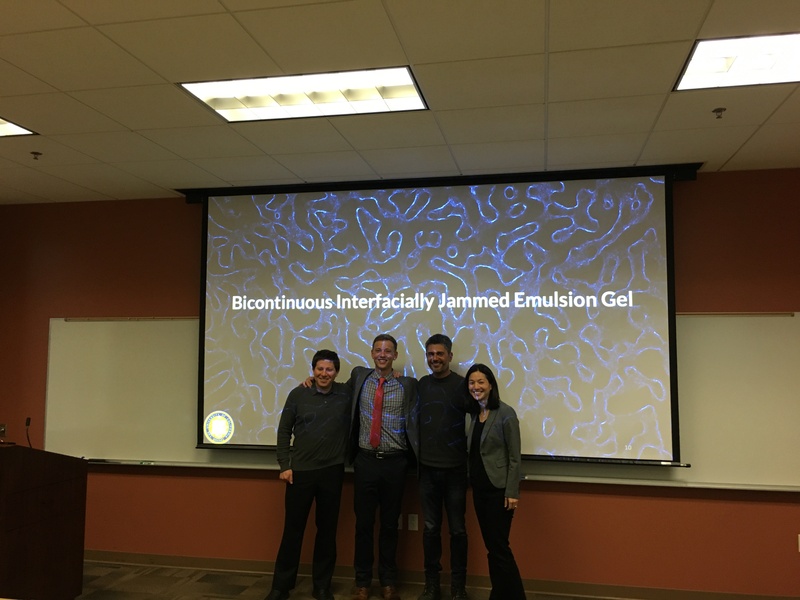 Here we see Todd with his two co-advisors, Dr. Elliot Botvinick and Dr. Ali Mohraz and committee member Dr. Wendy Liu.Congratulations Todd on the great work and continue the success in your postdoc!